Ingredients: Jalapeños, green bell peppers. vinegar, sugar, mango powder, salt. Description: A spicy sauce made with jalapeños and fresh bell peppers. 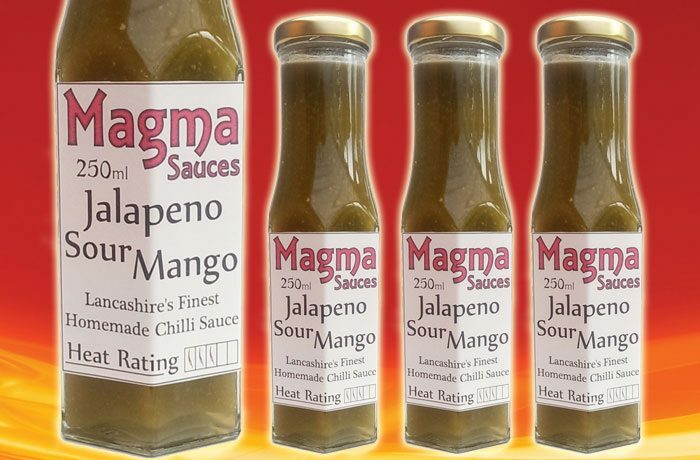 We use mango powder balanced with sugar to create the perfect sharp and tangy flavour. The ideal table sauce for lovers of a tangy kick, also perfect for marinating your meat or adding to any meat dish to enhance its flavour.